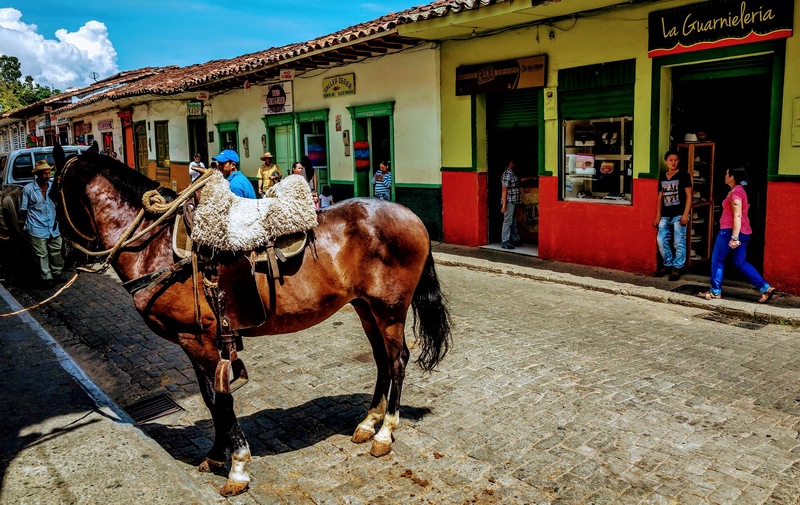 Browse: Home / Colombia: Why You Should Visit Jericó? Have A Look! 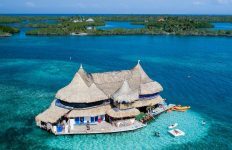 Colombia: Why You Should Visit Jericó? Have A Look! For such a well-placed location, Jericó remains a small city less-traveled. 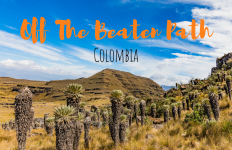 It is located a mere 113 km southwest of Medellin, so be sure to visit soon before everyone gets in on the secret! 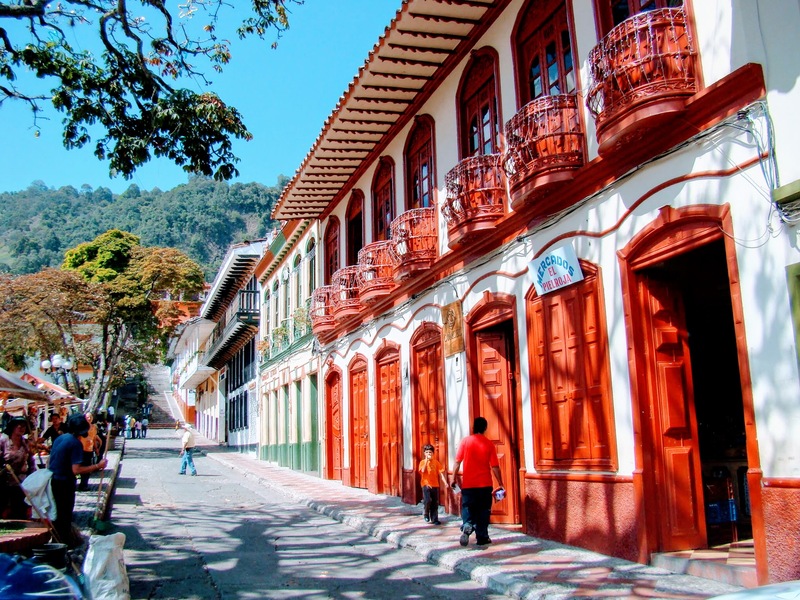 Known in Colombia as the Athens of the Southwest, its colonial heritage is alive and well in the city’s architecture. 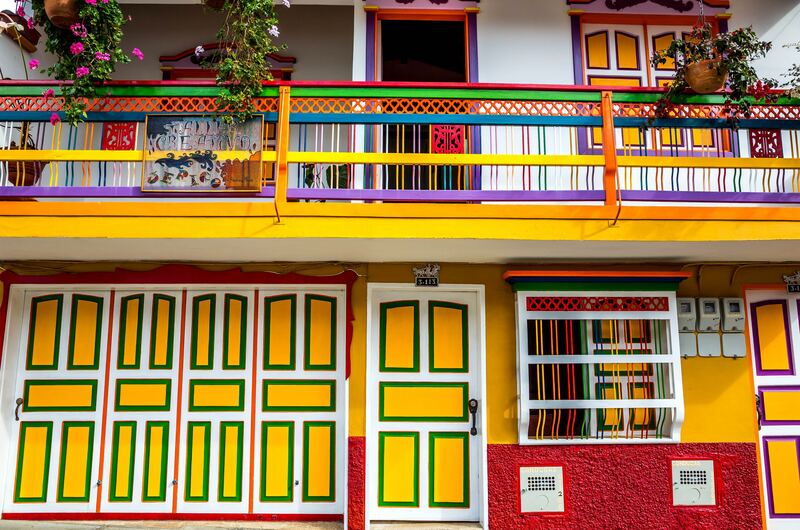 Colorful façades line the streets at every turn, no matter whether is a shop or a private residence. While there are a few in the hospitality business here that know English, it is a good idea to brush up on basic Spanish before your visit. 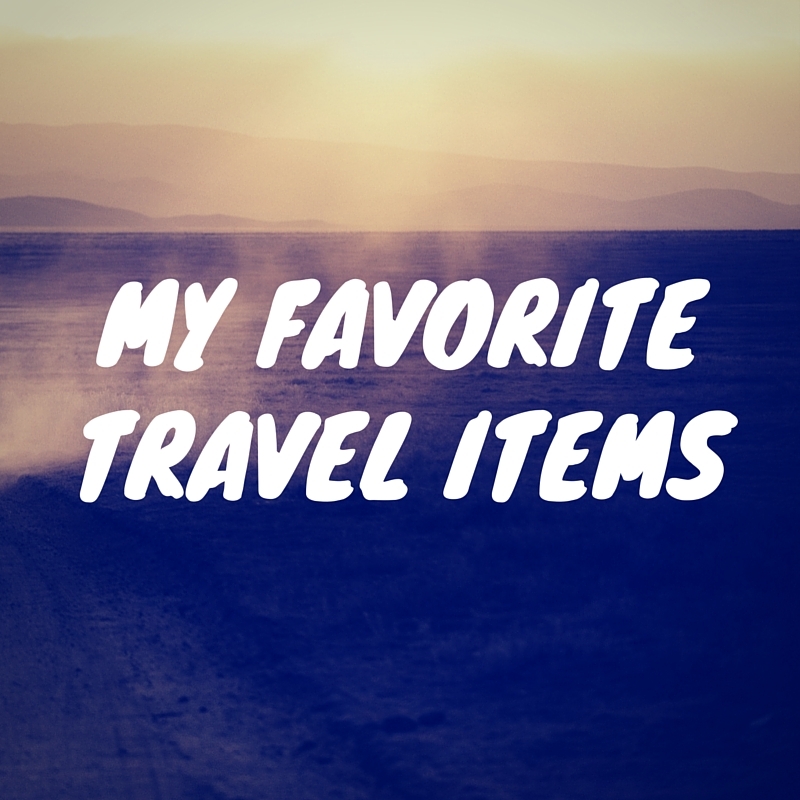 You will have a more satisfying experience, and be able to converse a bit with the friendly locals, who are eager to tell you about their home town. Nature lovers have no shortage of things to do in and around Jericó. 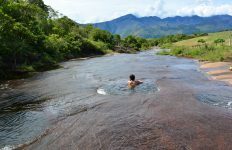 At 6,400 feet above sea level, it sits in the foothills of the Western Mountain Range, overlooking the canyon of the Rio Cauca river. The incredible viewpoints are ripe for hiking and paragliding. 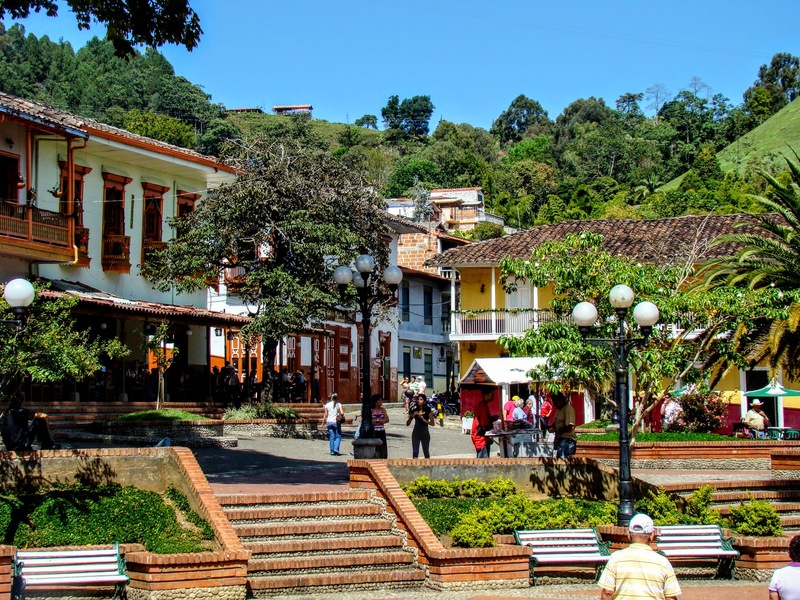 It is indeed one of the best pueblos in the whole of Colombia. Hike to Cerro Las Nubes. It is a medium-difficulty hike about 3.4 miles long. There is some uphill climbing (about 2,350 meters, or 7,730 feet), so you do have to be reasonably fit, but the views are amazing. This is an environmentally-protected site, so be mindful to leave no trace. Enjoy the sunset at Morro El Solador. Tourists and locals alike flock to this most popular monument, a statue of Cristo Redentor (Christ the Redeemer) with open arms, for its glorious views of the city. It is a popular gathering place to just hang out with friends. Jericó is a religious pueblo and as such, has a total of 19 churches. Quite a lot for a smaller community of just over 12,000 people. The Cathedral Nuestra Señora de las Mercedes can be found in the main square, and is built in exquisite modern Romanesque style. 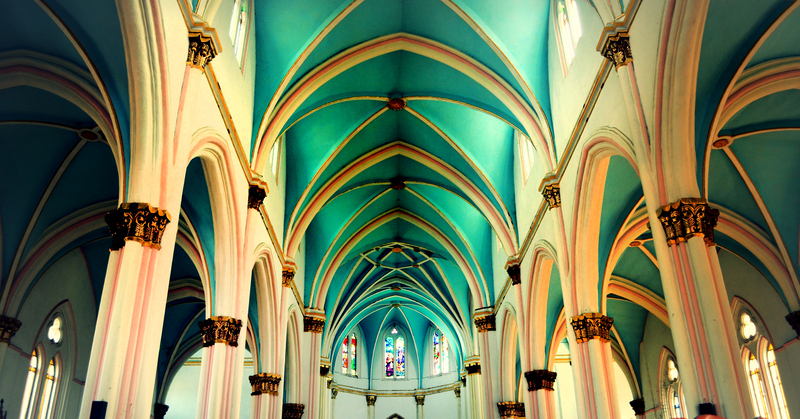 Another one to visit is the gothic-styled Santuario de Santa Laura church. Visit the Street of 100 stairs, also known as the Calle de las Cien Escalas. 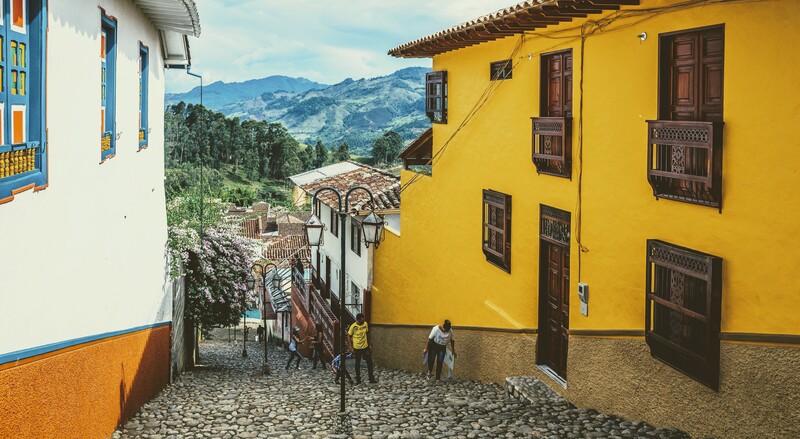 It is one of the more iconic streets in Jericó and definitely Instagram-worthy. On the weekends the market at the main square is the lifeblood of the city. 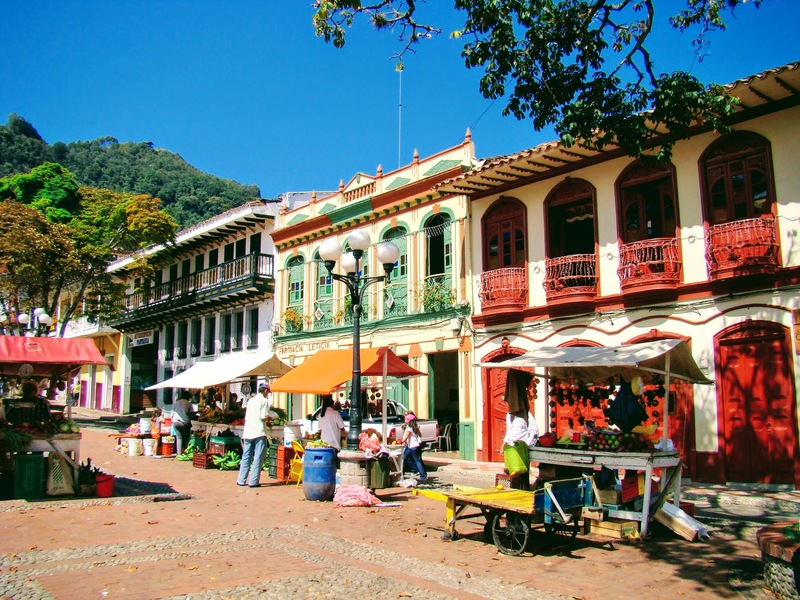 Here you can sample local fruits, converse (in Spanish) with the locals, and do a bit of shopping. 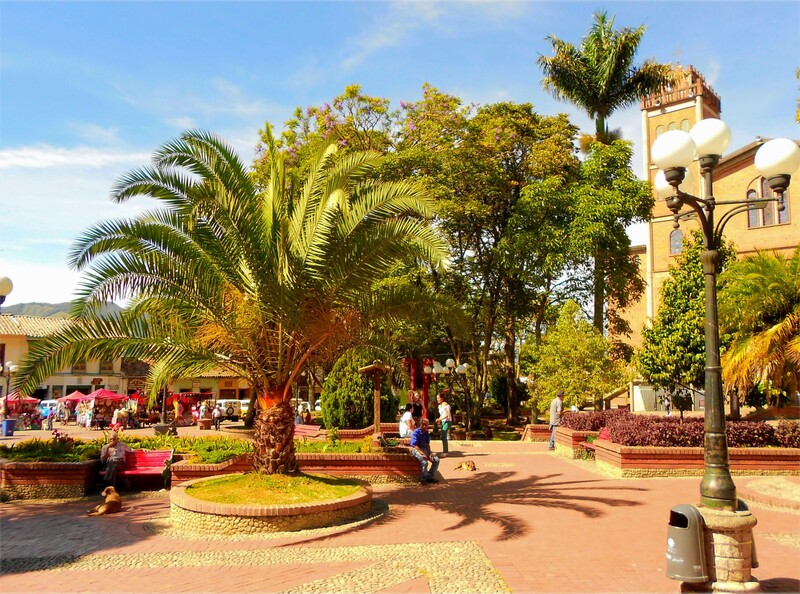 Jericó is in the coffee region, so be sure to explore the many different coffee options all over the city. The café El Saturia is arguably the most popular coffee spot in town. Café El Saturia even runs a coffee tour. This hour-and-a-half excursion takes visitors through a working coffee farm and explains the entire coffee-bean producing process from start to finish. Jericó offers several different coffee tours. Since paragliding is big here, for just a few dollars you can have your guide pick you up at the hotel and take you to the best place for your paragliding adventure. They will help guide you safely through your first paragliding experience. If you prefer hostels, the only one in the city, Las Cometas Hostel, is clean, comfortable and located near the main square. The staff are friendly and can connect you with local tours such as coffee and paragliding tours. 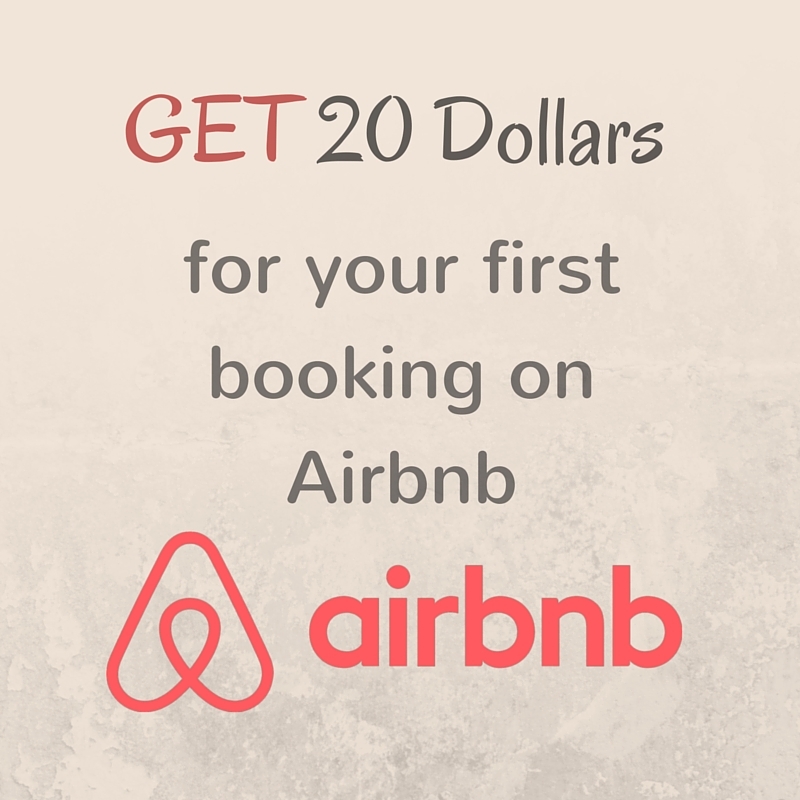 Budget-friendly, they offer both private and communal rooms. Hotel Porton Plaza is also near the main square. They have LCD televisions and internet and serve breakfast. This is a very affordable option, at around 30,000COP or USD10. From Medellin: Buses from Medellin to Jericó run about every hour, and a ticket starts at 25,000COP, or about USD8. 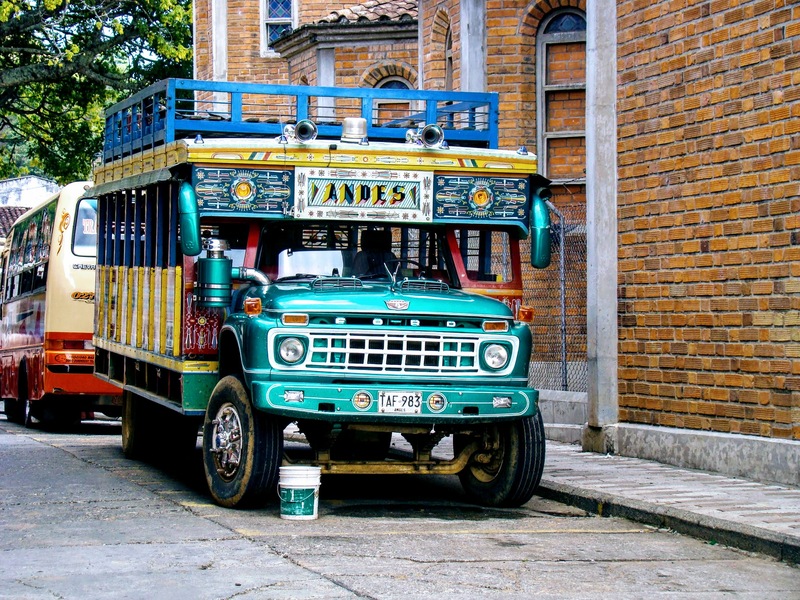 Currently the only bus company making this trip is Transportes Jericó. Pro tip: try to get a seat on the left side of the bus to Jericó and on the right side going back to Medellin. That way you can see gorgeous views of Cerro Tusa, a natural pyramid. The trip each way is 2.5 to 3 hours. 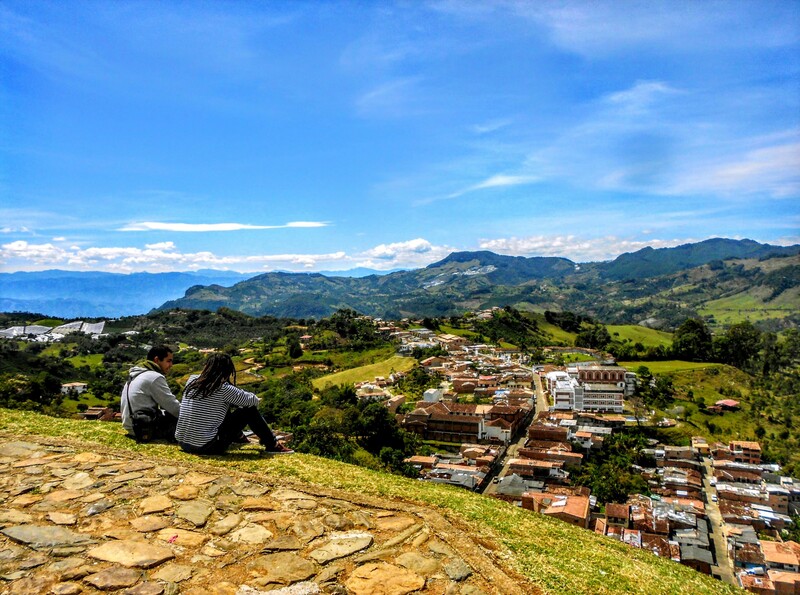 Jericó is truly the authentic side of Colombia. It’s small-town friendliness, wide range of attractions and rich heritage will charm you and entice you to return.